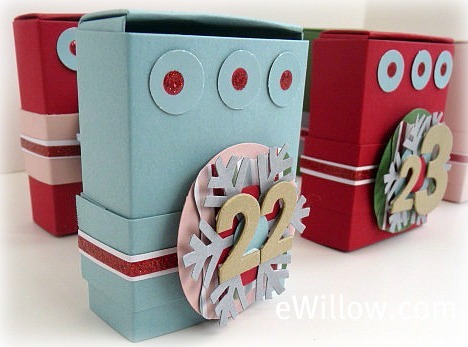 Before we move on to the calendar frames tomorrow, take a look at the finished boxes for decorating ideas. 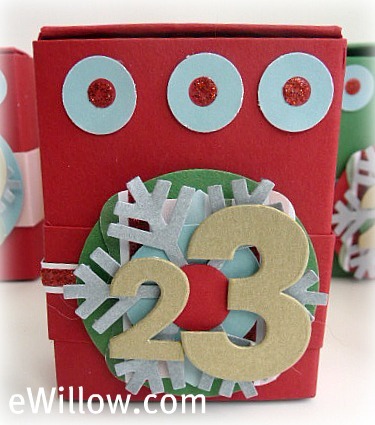 I used the 3/16" circle punch to punch out the glittery red polka dots from the 12" x 12" polka dot paper in the Candy Cane Christmas paper pack. I also cut out the glittery red stripes from the striped paper and added the strips to the belly-bands. I like bling. Be sure to use Stampin' Dimensionals (Item #104430) to make your numbers pop. I used dimensionals under the 1-3/4" circle, the 1" circle, and the numbers. I used Mod Podge to adhere the other pieces. This is a project that will stay in the family for years to come, so I wanted to make sure I used adhesive that would last. Remember to come back tomorrow for the calendar frame. See you then! All photos and projects are copyright 2009-2016 Charlene Harreveld. You can link to my posts but you cannot copy and paste and pass them off as your own work. I only place ads on my sidebar and endorse products that I can honestly say are good. The FTC wants me to tell you I might receive enough money to buy a pack of gum if you click on the Amazon links and purchase the products I recommend. I'm an Independent Stampin' Up! 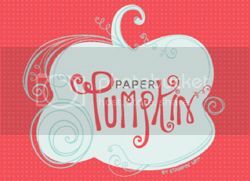 Demonstrator, so if you click on the slideshow items and buy them via my Stampin' Up! website, I receive a small commission...enough money to buy TWO packs of gum! All opinions are my own. all blog posts and content are copyright sussex circle paperworks and charlene harreveld 2009-2016. Awesome Inc. theme. Powered by Blogger.